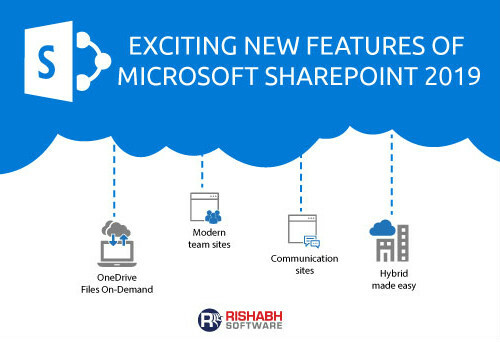 Announced in September 2017, Microsoft SharePoint 2019 is the talk of the town yet again as Microsoft recently revealed the exciting SharePoint 2019 features. A modern platform for choice & flexibility, SharePoint 2019 is reimagined to focus on users. It comes with a familiar and intuitive design to work seamlessly across all the screens from tablets, phones, laptops to desktops. The zest of SharePoint 2019 lies in the fact that it offers instant access to people, content & apps you are working with the most, which enables you to spend less time in searching information and more on working with it. Using the cloud as the baseline, Microsoft is offering seamless communications and collaborative experiences to SharePoint 2019 customers. The SharePoint 2019 new features include Communications Sites, Team Sites, Team News, and Lists & Libraries with broader data mobility and NGSC (Next Generation Sync Client) support for reliable access to user’s documents anytime, anywhere. With the 2019 edition of SharePoint, Microsoft is even offering aid for process automation and forms technology with Microsoft PowerApps & Flow to link with on-premises data. Microsoft has made a significant investment in overhauling and aligning the SharePoint and OneDrive to create a vibrant user experience. It will encompass the on-premise version as well. The 2019 edition of SharePoint has all the features that were a lag in SharePoint 2016. SharePoint Home: A reorganized home screen offers all the sites and news relevant to the users in one place.If you are familiar with Office 365, you can recognize and reconnect with this view. Progressive Communication & Team Sites: It is one of the most anticipated SharePoint 2019 features that will benefit and appeal to cloud users. Lists and Libraries: Contemporary sites are incomplete without up-to-date listings & libraries. User-friendly Pages and Web Parts: The standard SharePoint pages were not very user-friendly to create or edit, but with SharePoint 2019, users can now create content swiftly. Suite Navigation & App Launcher: The popular Office 365 “waffle” menu will be available in the new SharePoint edition as well. Seamless Sharing experience: It will allow smooth and secure access to users for SharePoint resources such as on-premise content outside of the organization, which was previously managed either by anonymous access or through an additional SharePoint license. OneDrive has come a long way since the days of its humble beginning but has been lacking the on-premises feature. Soon this challenge will become a thing of the past with OneDrive Sync Client support in SharePoint Server 2019, for personal as well as team sites. With push notifications, the users can now expect a fast and reliable synchronization experience. The said feature was available for users in the cloud version, and now on-premise users can leverage it in the Hybrid environment. Direct links to SharePoint documentation: No more hassle of searching the depths of the internet to locate the required document with direct go-to links in Central Administration. SMTP authentication for sending emails: The actual authenticated SMTP (including Office 365) will enable seamless email management by eliminating continuous test setup process for outgoing emails. Workflow Manager 2019: It will replace the Workflow Manager 1.0 and prevent workflows from going away anytime soon. If you can’t get what you need in Flow, the Workflow Manager 2019 is what you need. Integration with PowerApps & Flow: With SharePoint Server 2019, there is an expectation of some deeper integrations with Flow and PowerApps. Although controlled via gateway yet the new features will improve the performance and will have fewer restrictions than before. New Hybrid status bar: You can monitor the status of your hybrid configuration in one view with this new feature. Holistic Search: Search had many improvements in Office 365, but up until now the experience was not consistent in a hybrid environment. It will get better with the modern search feature of SharePoint 2019. When can you start exploring SharePoint 2019? As announced last year, Microsoft is on track to release SharePoint 2019’s public preview this summer and a full release in this fall. SharePoint 2019 is a significant product. It will continue to support Microsoft customers by leveraging Microsoft’s investment in Office 365. It will induce high-level collaboration in the workplaces, with improved efficiency and accessibility. The latest version of Microsoft SharePoint, SharePoint 2019 has been officially released in October 2018. As said earlier, it has brought with itself a string of new features involving modern user experience, improved administration/infrastructure, OneDrive Sync Client support and hybrid capabilities. All-in-all, it will bring value addition to the organizations implementing it as it will help improve the overall user-experience and automate the business process through the integration of Powerapps and Microsoft Flow. Are you excited to use SharePoint 2019? Leverage its new features with our SharePoint development services to ensure that your organization gets the benefits of new and improved version of SharePoint. 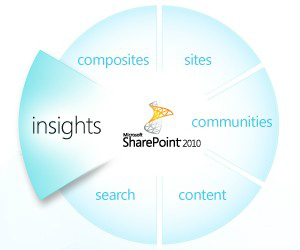 Want to leverage New SharePoint FeaturesGet in touch with us now! 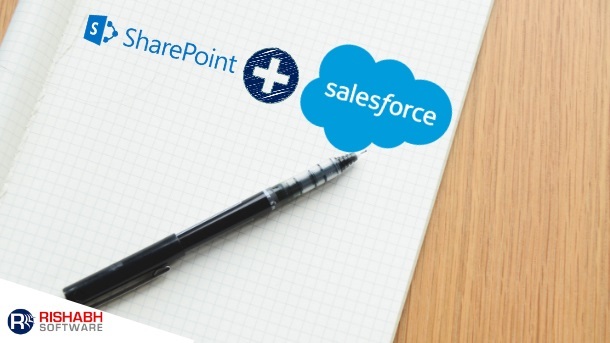 Why Salesforce SharePoint Integration Is An Asset For Businesses?